In 2007 I spent around a month on three different excursions to Michigan. 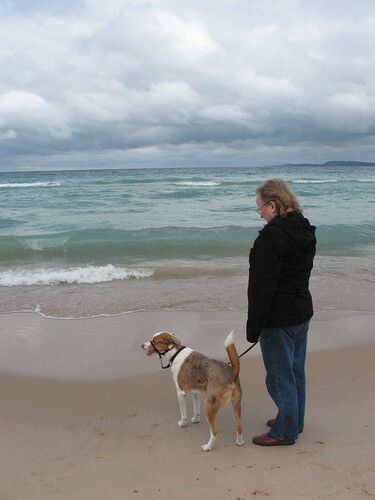 This picture is of my Mother and her insane dog on a short trip we made to the Lake Michigan shore on September 12th of 2007. What do you mean? Its says "2007." So it does, my bad. I must be losing my mind. That is the only possible explanation. I also forgot how to spell my name.